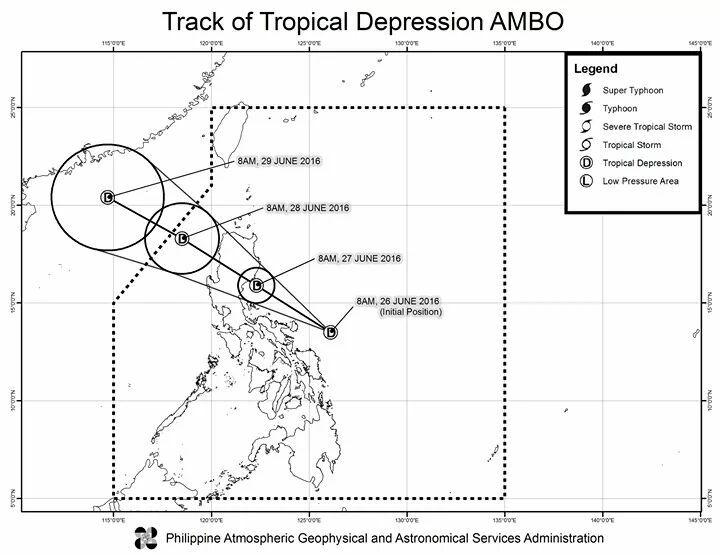 Manila - Low pressure in Borongan City has developed into a tropical depression and was named AMBO, state weather bureau PAG-ASA announce Sunday. Moderate to Heavy rainfall is expected within typhoon's 200 Km diameter. 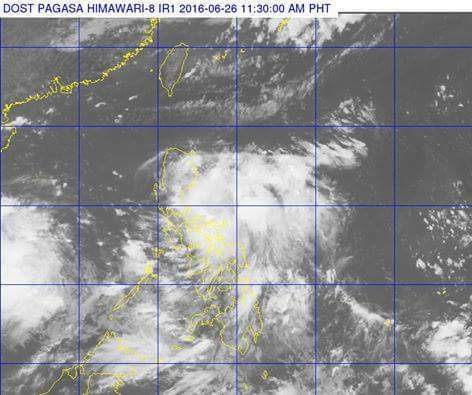 It is expected to weaken after making landfall over Aurora province tomorrow. Always keep yourself updated with the latest weather report. Stay safe everyone.